I have been reading a lot of amazing poetry lately, and so jotted down a few notes for Huffington Post on the ones that most grabbed my attention. You can read the full list, with commentary, on the HuffPo site. Feel free to add your own favourites and recommendations in the comments section there. The postman dropped my contributor’s copy of Alice: Ekphrasis at the British Library through the mail slot just now. 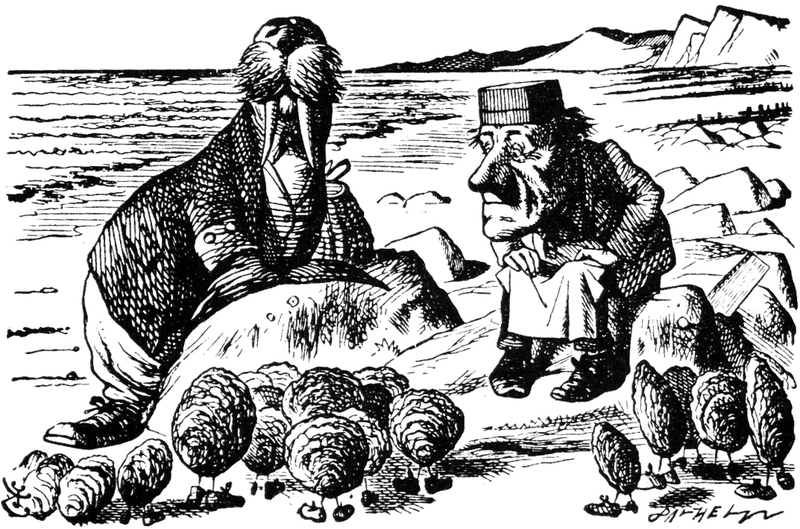 What a wonderful project they have taken on this time, gathering responses from fine poets throughout the UK to the work of Lewis Carroll. I was delighted to add a political poem to the mix. Many of the contributors will be reading this evening at the British Library in what looks to be a stellar lineup, with an encore reading tomorrow night as well. Do check it out if you can. Maddest of hats off to Ekphrasis for another really excellent collaboration. Nine Arches Press in collaboration with Leeds Ebooks has done an excellent job bringing The Knowledge into an all-digital format. If you got a Kindle, iPad or tablet for Christmas, or have been holding off reading The Knowledge due to international shipping costs, now is your chance to get it for a song. The e-book is on special offer for less than three quid (five bucks) throughout the twelve days of Christmas. If you have a Kindle, you can download it directly from the Kindle Store. Even if you don’t have a Kindle, you can still read it on the Kindle app for your iPad or Android tablet. I have a long list of e-book pet peeves, but this version has been expertly done. The table of contents is hyperlinked, font sizes can be adjusted to taste, and — best of all — it wraps long lines of poetry correctly with hanging indents. Apart from the formatting, you might also enjoy the contents. Let it snow ones and zeroes! 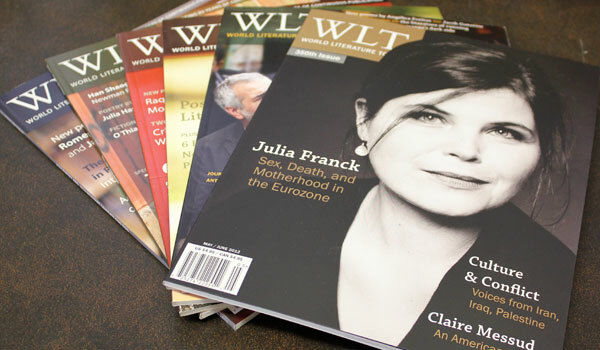 Los-Angeles-based Piotr Florczyk takes on The Knowledge in a new review for World Literature Today (University of Oklahoma, founded 1927). You can read the full review in the November print edition, and online. In celebration of summer, I am making a special offer available that should be particularly enticing to international readers. 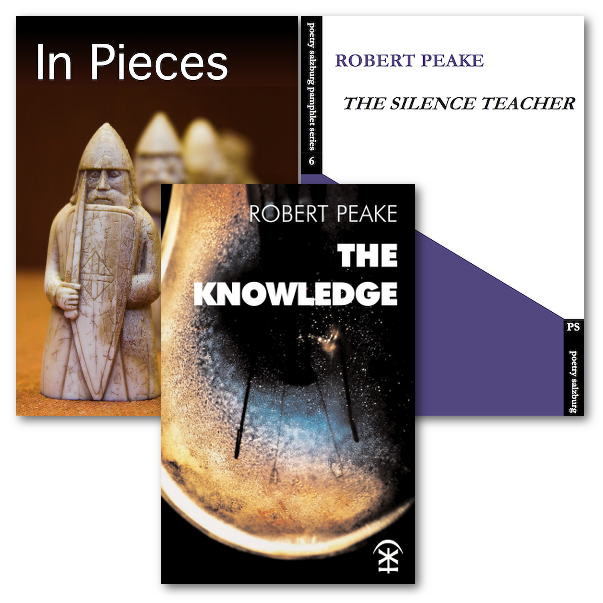 Purchase The Silence Teacher and The Knowledge together and you will get instant access to download the e-book In Pieces free of charge as well as … wait for it … free shipping on both physical books (yes, including international orders). If you already have one or more of these books, this is a great way to introduce them to a friend. I am also happy to sign and/or personalise the books — just make note of what you want with the order. 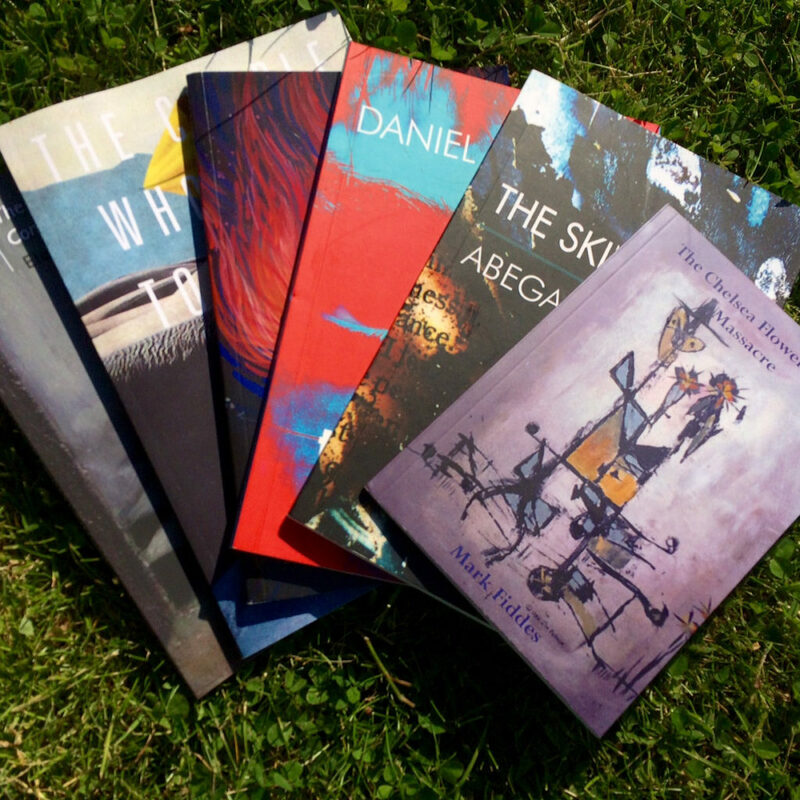 I have a limited stock, though, and summer is on the wane — so do place an order soon if you’re interested.